This project took about 200 hours. 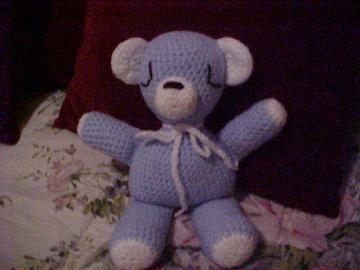 This is the first bear that I created-pattern and all. 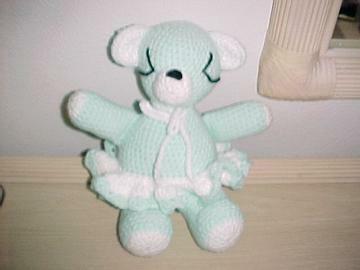 The easiet way to create the bear-- no fancy skirt to make. 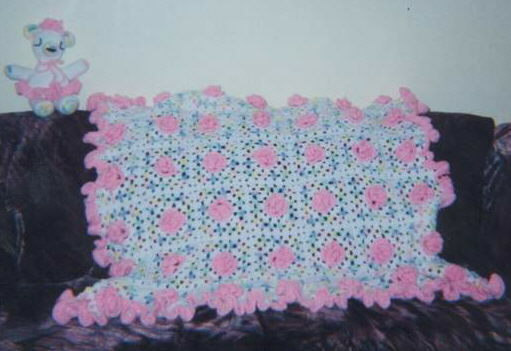 These pictures are from my hobby-crochet.